읽기 Her Diary. Cine-Miroir was a French film magazine which often ran near full page 이미지 of actors and 여배우 on their back cover. 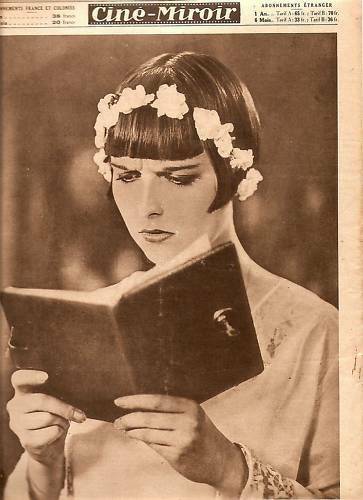 Here is one of Louise Brooks on the back of the December 5, 1930 issue. It depicts Brooks in a scene from Diary of a 로스트 Girl.. Wallpaper and background images in the Louise Brooks club tagged: louise brooks iconic portraits classic. This Louise Brooks photo contains 칼, 고기 칼, 헬기, 식칼, 고기 식칼, and 헬리콥터.